Vul uw e-mailadres voor Fred Abbott gerelateerd nieuws & updates. Fred Abbott is a London-based musician, until now best known as lead guitarist and keyboard player in the recently disbanded Noah And The Whale. His debut album Serious Poke was announced with a free download of pop-rock gem, Funny How Good It Feels, debuted on The Guardian and is available now through Soundcloud. A supremely talented multi-instrumentalist and songwriter, Fred Abbott joined Noah And The Whale in 2009 and went on to huge success with that group, especially notable being his contribution to 2011‘s Platinum-selling and highly acclaimed Last Night On Earth. 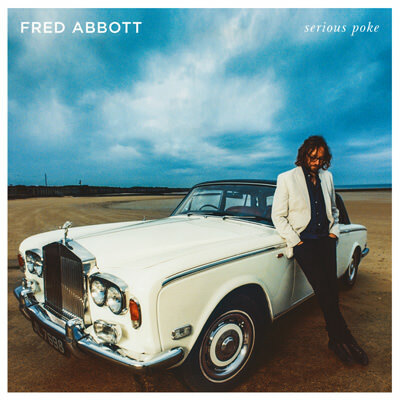 Abbott enlisted the help of his Noah And The Whale compadres and other friends for the recording of Serious Poke, with sessions taking place at West London’s British Grove Studios over the past year. The album was co-produced by Fred with Martin Hollis, whose diverse credits include Grinderman, The Rolling Stones and Take That. Says Abbott of the album, "If you attended a Noah And The Whale soundcheck at any time in the last five years then you probably heard me, Urby, Mike and Tom jamming some of these songs. Last year while the band was on hiatus I took the opportunity to record them properly, with the boys from NATW and some other talented friends. Now that Noah has officially split the time seems right to put this stuff out there. Enjoy!"